The lot is available until full and is located to the immediate right of the restaurant. After 6:00pm, parking across the street at Oil Changers is allowed. Seating in music room not guaranteed with reservation. Please call and make sure your preference is noted on your reservation and we will do our best to accommodate your request. Speisekammer offers full catering featuring German and European food. Holiday parties, Oktoberfest parties, Weddings, Birthdays, Anniversaries, Office Parties. Speisekammer has many repeat clients. Peter Kahl is a European trained chef and his skills are not limited to German cuisine. In-house we can accommodate groups of 2-200. The back room seats 60 people and has a projection screen TV with wireless internet for company presentations. There is a private room for up to 60 people. Private parties from 10 - 200 people available. Rental of the entire restaurant is possible for larger events. 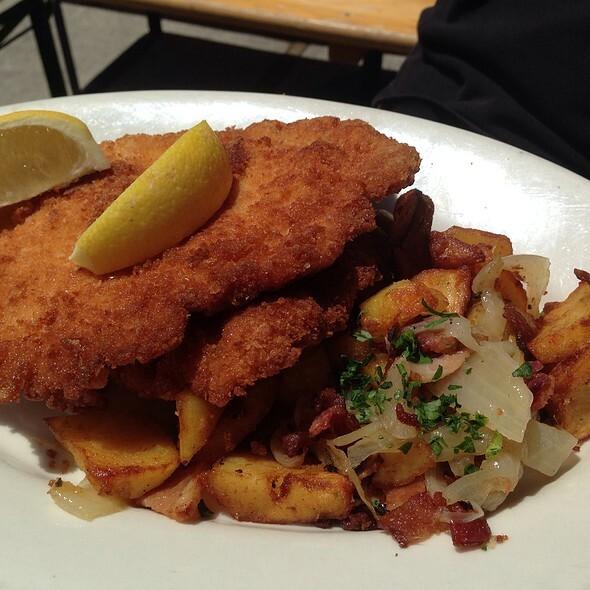 Speisekammer serves up the best German cuisine this side of the pond! Cooking up original German recipes, pouring an outstanding selection of German beer, crafty cocktails and an extensive wine selection, Peter and Cindy will provide you with an experience you'll be eager to repeat. Listen to local musicians play Friday and Saturday nights. Come by and sit in the Biergarten or by the fireplace and enjoy what's on tap! 6 of us ate dinner together and had a perfectly delightful meal. The food was home style in the best of terms. There was nothing among the 6 entrees that we wouldn't order again. Our waiter was fantastic. Besides being able to answer all of our questions about the ingredients in all of the food items, his knowledge of the beer menu was fantastic. It is a German restaurant so the best alcoholic drink from the bar is beer. One of our party asked for a high end Napa Valley wine and it was the only time our waiter seemed a bit stymied. The beer menu is so extensive that it is hard to go wrong there. A great place for families and adults a like. 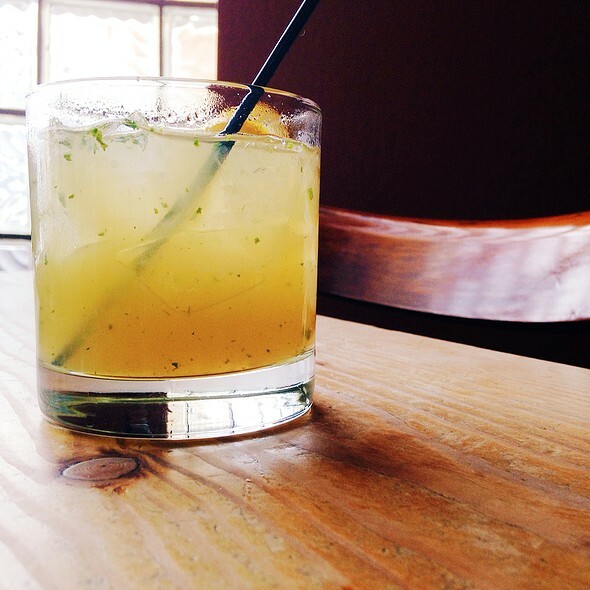 It is one of the most comfortable and yummy places in Alameda. 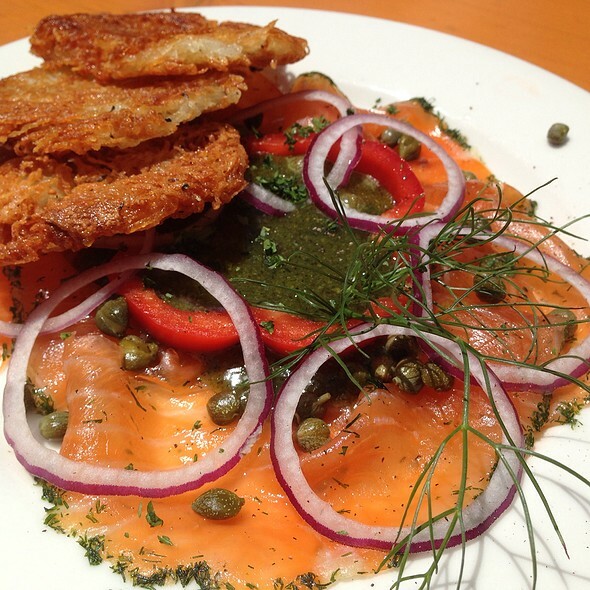 Speisekammer is a decent comfort food restaurant. Our server was excellent. My partner liked his beer but my Hemingway daiquiri was too sweet although it was certainly strong enough. I really liked my JÄGERSCHNITZEL and its accompaniments but my partner's side of roasted potatoes was really dry so overall his WIENER SCHNITZEL dish was hard to eat. The potatoes had obviously been sitting around too long. A better side would have been mashed potatoes or Spätzle. I'd eat at Speisekammer again but not real soon. Always love the food. Best pork chops we’ve ever had! 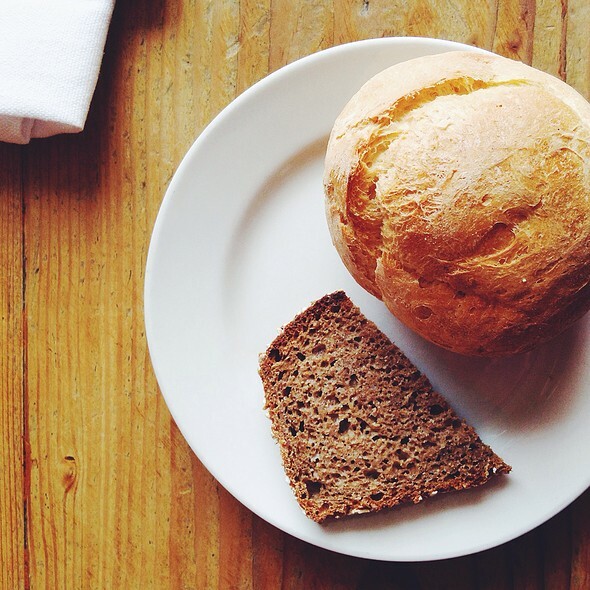 We love Speisekammer and make the trip to Alameda just to eat there. We love the food and selection of beer, and always find the staff friendly and helpful. We were celebrating with my high school senior and this was his request. Great food, service and overall experience as usual. Good wholesome food at affordable prices. You can get a fresh salad, roast meat, fresh sausage with a variety of German beers, cocktails, or wine. Big place, too. Nice outdoor seating area in good weather. I eat there at least once a week. A fantastic home style restaurant. We come here for every special occasion! Always a fabulous experience. We have always really enjoy going to Speisekammer. The food is good German fare, quality choices you would find at a small local beer house in Germany. The 2 top tables have legs very close together, so it makes it a little tight for larger (I am 6'6") people. The service was polite and cheerful, but a little slow. Also, the server who was bringing food out from the kitchen, tried to set the main course down as we were starting our appetizers. This is always a huge fail with me. Overall it was nice. The waitress never did come back to check if more drinks were wanted. Atmosphere was not as authentic German as hoping. Excellent food and surroundings. Loved the decor and music. Food was excellent. We had the potato pancakes and brats and sauerkraut. Everything was great. We visited to listen to Mark Hummel and the Deep Basement Shakers play on a Friday night- what fantastic music! The food was yummy, the German beer was top notch. Would definitely return. Our friend said the sauerbraten was better than he had in Germany! Everything was delish! Excellent German food, as usual. Speisekammer is tops. Food was great, but a little pricey for some sausage and fries. Always a great meal, fantastic service and extremely comfortable environment! Thanks!!!! Delicious as usual! We love this place! The food is top-notch! Excellent food and beers, a good place to get together with friends. Quintessential German cuisine and fantastic beer selection. Great in everything and especially good server.. I lived in Germany for 12 years. This place just doesn’t get it. I ordered Curry Wurst and it was decent sausage covered with an inadequate sauce-read only catsup with no curry taste at all. I’ve had much better at a kiosk in Berlin. Great authentic German food, terrific beer selection and ambience. Excellent choice for families and small groups. Happy with yummy Gluten Free dishes and with the good selection of beer and wine. It was a the perfect place for 9 friends on a Sunday afternoon. Great German food, German beers on draft, and friendly vibe. Always a wonderful experience at Speisekammer! Food was delicious, but be prepared for a loud experience. Fun for a group and they have a kids menu. Highly recommend. Great time overall. Wonderful food. Beer was excellent across the board. Can’t wait to go back!!! We went there after watching Check Please! They did not disappoint. I had the Jagerschnitzel with mushroom gravy - wow! Amazing quality and generous portions. Terrific beer selection. We brought a visiting German and she was very impressed. We’re going back this summer to sit in the beer-garden. The food at Speisekammer is always wonderful and the service too. One could wish for the installation of some sound-deadening material on the ceilings--but that's really a minor quibble. We were especially happy with the turkey schnitzel and the broiled brussels sprouts. Great experience as always. Very accommodating for gluten free diners. 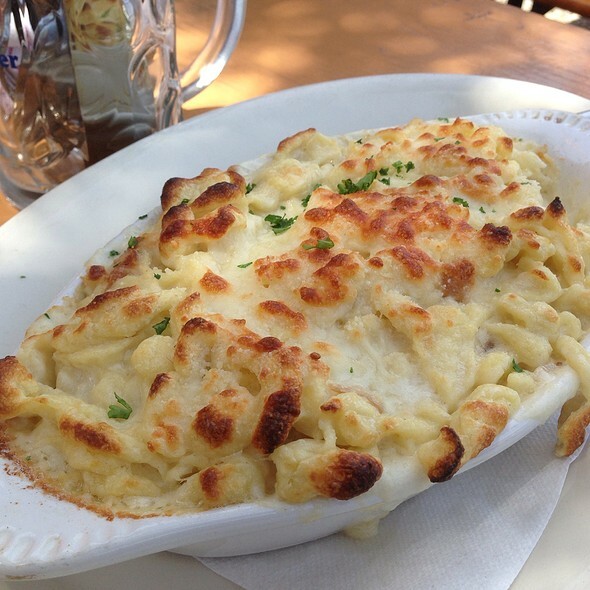 Our mouths were watering for traditional German food and you didn't disappoint. We have put it on our list to come back. 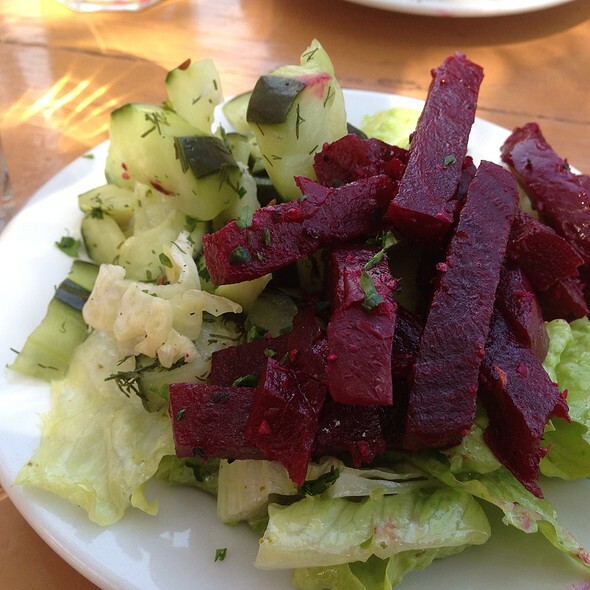 I especially liked the beet salad. 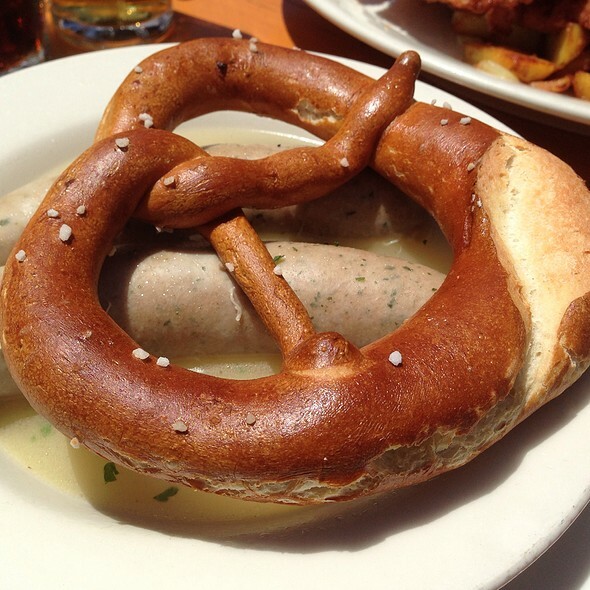 We have tried all the German restaurants in the SF Bay Area and this is hands-down our favorite. A wonderful neighborhood restaurant beloved of locals, with that generous gemuchleit feeling I remember from my fav childhood places. 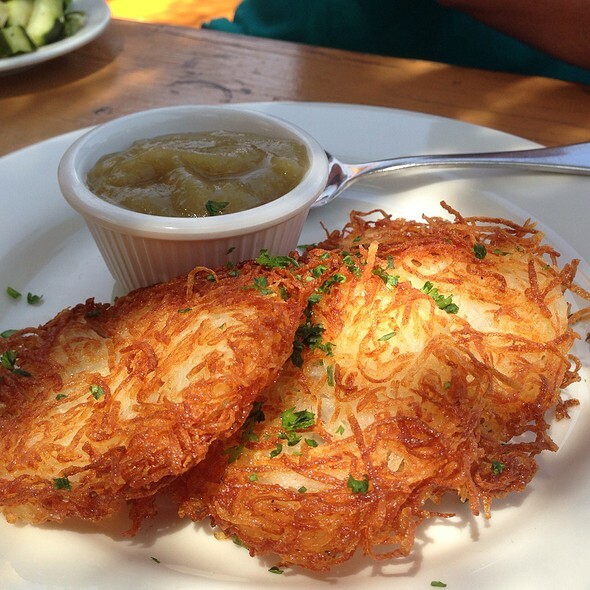 Don't miss the potato pancakes - best in town, get the optional sour cream to go with that tart housemade applesauce! Beer selection is much better than most of the hipster places, with really outstanding service (and we don't say that lightly, we are picky about good waitstaff training). 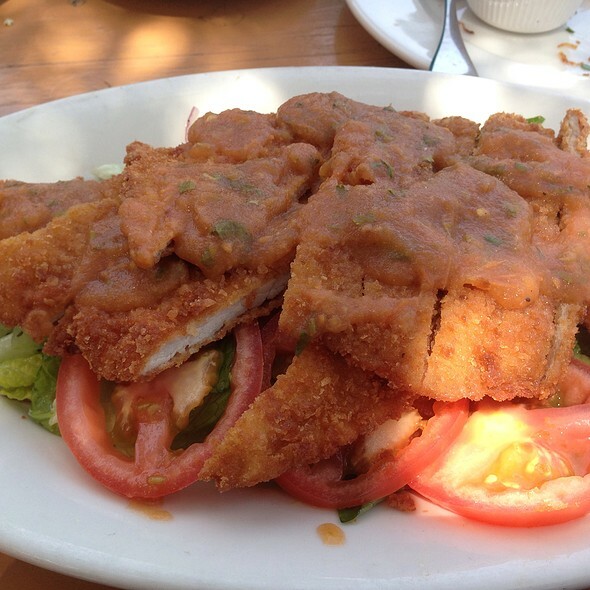 No need to reservations at lunch but a necessity for dinner. Parking is manageable; lot is tiny but the neighborhood has a fair amount of parking available within two short blocks of restaurant. Sunday lunchtime and the restaurant was out of dishes and certain beers.It was my birthday and it was known to the restaurant thru open table and the fact was ignored. I celebrated my birthday at this restaurant for several years and they would always bring out a Strudel with candle. I was disappointed, especially since I spent about $360.00 for lunch. Great German food and beer! Casual homey vibe, incredible food, fantastic German beer selection. Love this place!